It’s a boy! My family has a new member with the addition of a calf. He has a very loud moo, so I am glad I do not hear him at night. He has already tried to run into my room when my door was open, but once he realized there was a human nearby, he got scared and stopped. He also likes to try to run away to play with the cows across the street, but the barbed wire fence stops him. 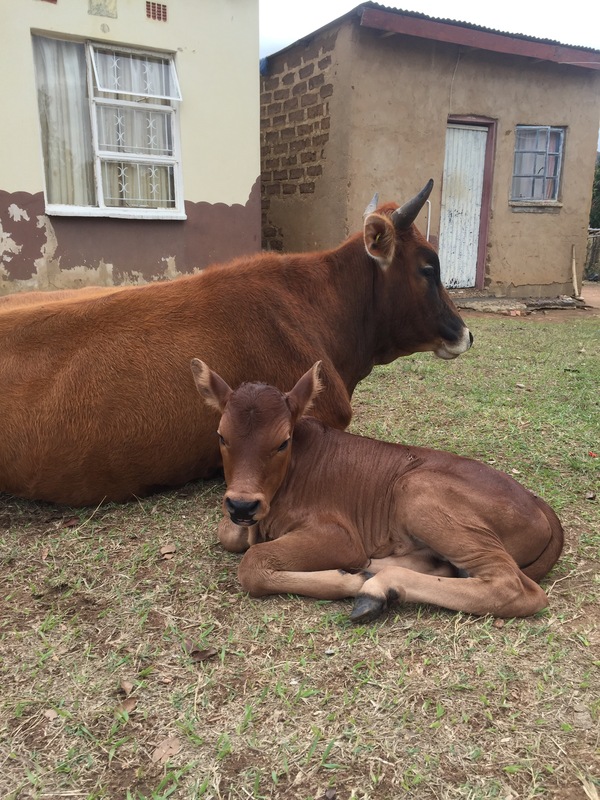 This entry was posted in Peace Corps, Swaziland, Wednesday photo and tagged Calf, Cow, PCV, Peace Corps, Peace Corps Volunteer, photo, Swaziland. Bookmark the permalink. Is that your home behind the cow and calf? No, my brothers live there. I’ve finally decorated and organized enough to show the inside and outside of my home. I’ll work on a post for that!